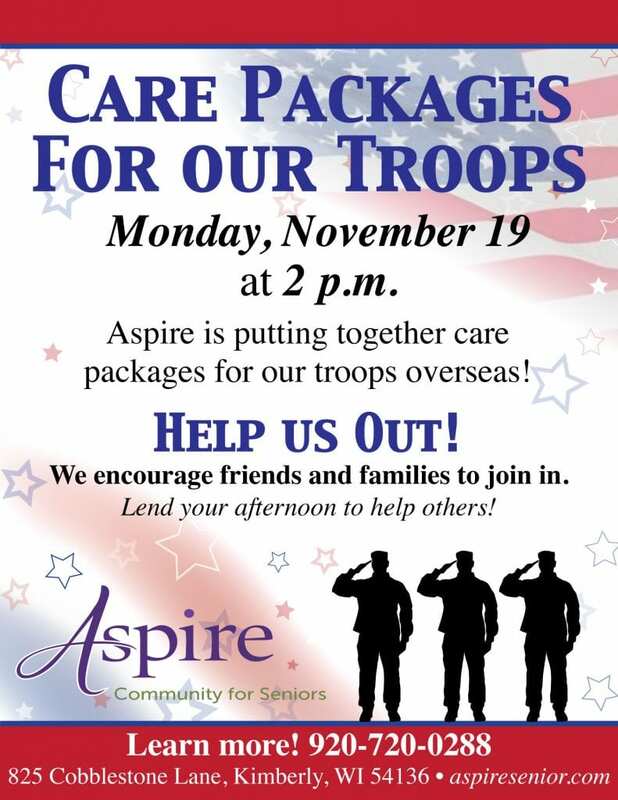 Aspire is putting together care packages for our troops overseas! Help us out: We encourage friends and families to join in. Lend your afternoon to help others!